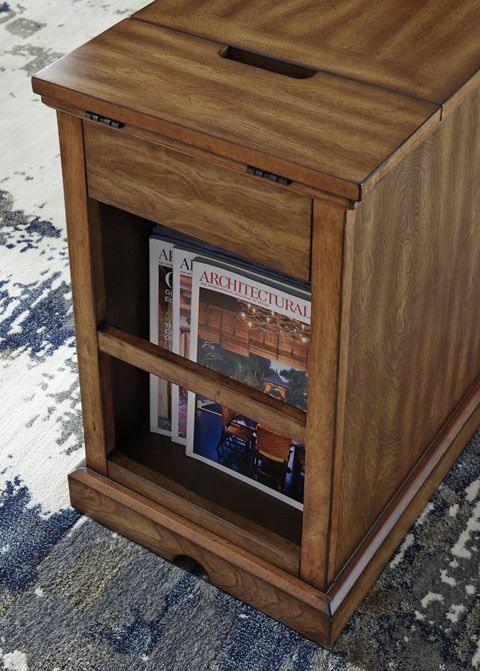 Small, but essential, the Laflorn Brown-Gray Chairside End Table keeps everything within reach. 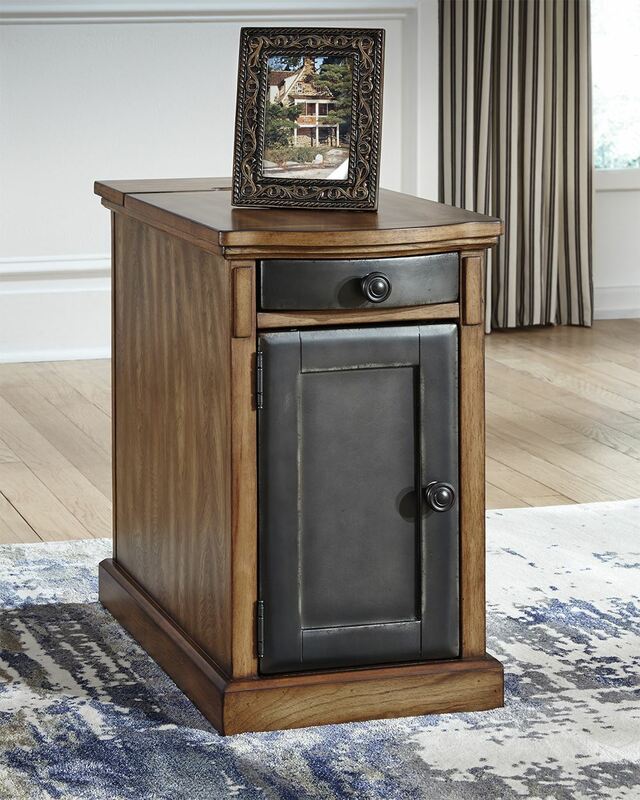 This richly styled piece has a light brown finish with steel-finished drawer and cabinet fronts, allowing it to easily complement other living room pieces. 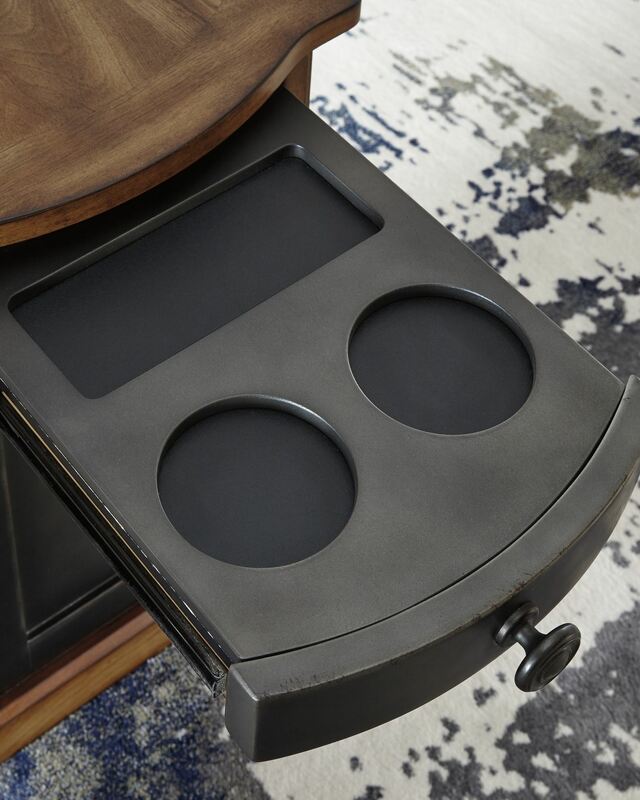 The flip-up top panel reveals a power port, ideal for keeping your phone or laptop charged, while the hidden twin cup holder, interior shelved storage area and magazine file in the back offer plenty of wonderful storage options! Set this contemporary piece next to your favorite chair, and kick back and enjoy! 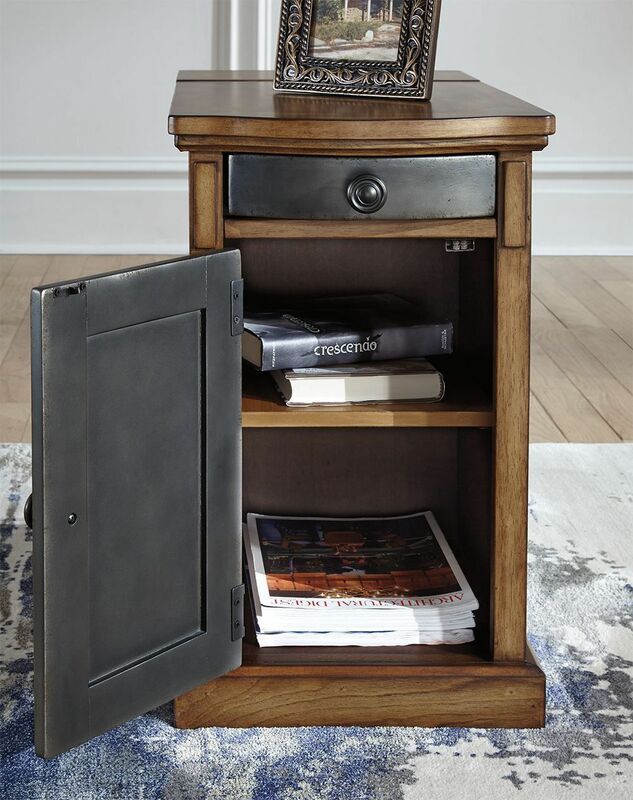 Small, but essential, the Laflorn Brown-Gray Chairside End Table keeps everything within reach. 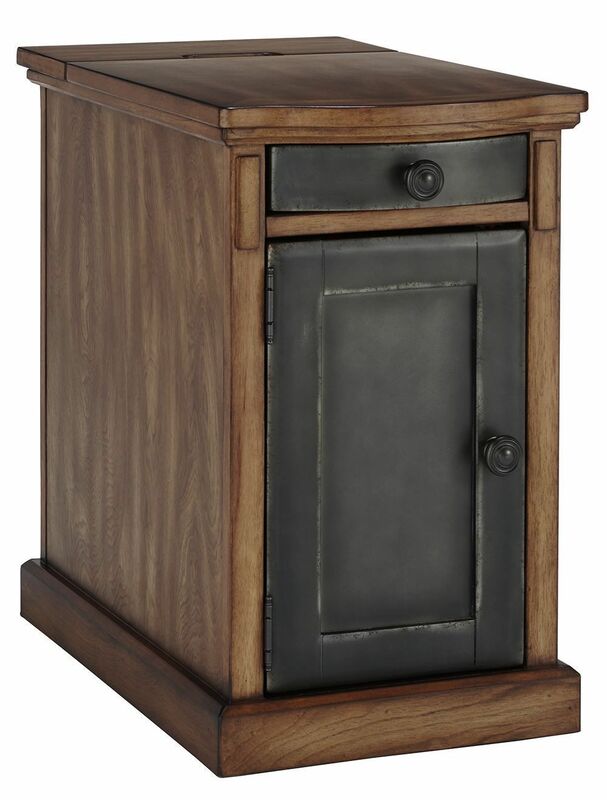 Flip up top panel with power/internet port, pull-out drink tray with remote caddy, magazine file in the back, storage behind door. 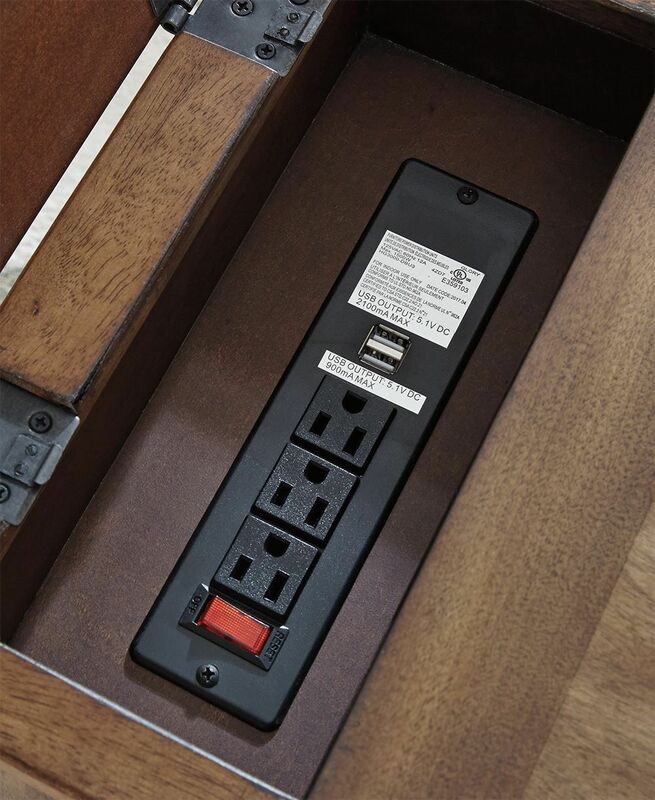 Light brown finish with steel-finished drawer and cabinet fronts.